Every year on the third Sunday of January people from all over the Philippines and even the globe converge in Cebu City to celebrate the festival called the Sinulog. Every year, like clockwork, devotees of the Holy Infant carry their Sto. 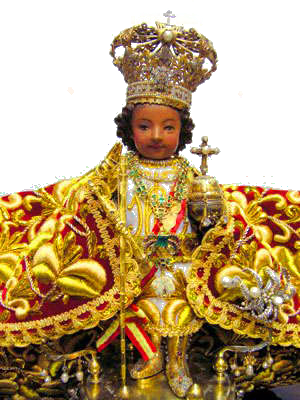 Niño statues to be blessed at the Sto. Niño church. I see these people from all walks of life lining the streets or waiting their turn for their precious statues to be blessed by a priest. From a historian's eyes I see the continuity of the devotion of the Cebuano people to the Holy Infant, a devotion that has been passed down from generation to generation beginning with the baptism of Hara' Juana into the Catholic faith and her acceptance of the statue of the Holy Infant as gift from the explorer Ferdinand Magellan. I have always been fascinated by the idea of this Queen of Cebu. 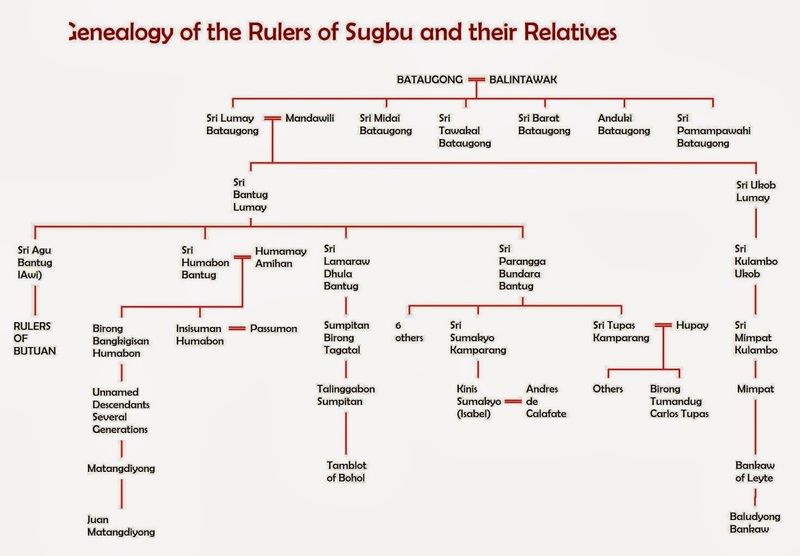 In the early days of my research I only read a few materials about the "royals" of Sugbu - about her husband, Hari' Humabon and their nephew, Hari' Tupas, who inherited the mantle of power. But of course there has never been an extensive discussion of the pre-Hispanic royals of Sugbu, unlike those of Manila. Maybe because the Conquistador Miguel Lopez de Legazpi decided Manila as a better location for the capital of the new colony and so naturally most of early chronicles especially on the ruling elite of the islands were focused on Manila's Lakans.. And although Luciano P.R. Santiago in his article on the Lakans of Manila indicated that a separate dossier of the descendants of Tupas and his clan were kept by the Spanish government as they were given the same special arrangement as those of the Manila Lakans. Unfortunately these files were most likely kept in the archives of Cebu and were lost or misplaced throughout the centuries. Thus, unlike the genealogies of the houses of Lakandula, Matanda, and Soliman which appear to be quite complete in the early generations until about the 1700s, those of the Tupases in Cebu can only be constructed based on the few archival documents we have. 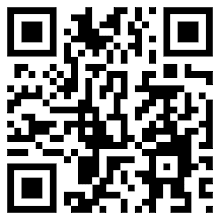 Two primary sources form the basis for this article. The first is from Astrid Sala-Boza's article in the Philippine Quarterly of Culture and Society where she explored Tupas's genealogy and the passing of power in the Sugbu chiefdom as culled from the writings of Antonio de Morga, Antonio Pigafetta, William Henry Scott, and of course the authoritative works of Blair and Robertson. 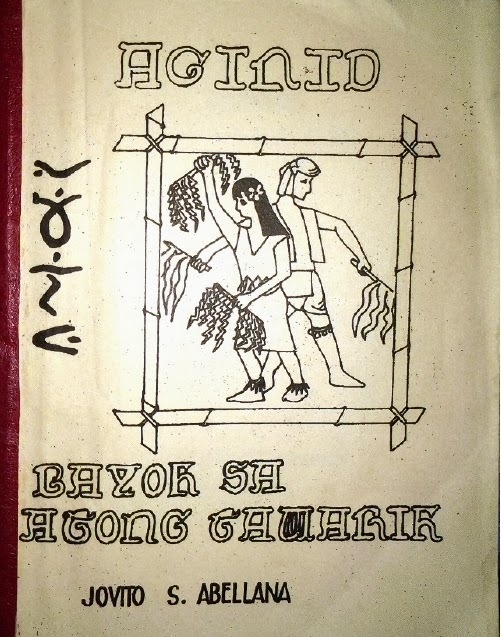 The second source is Jovito S. Abellana's Aginid: Bayok sa Atong Tawarik, which is his family's version of the founding of Cebu as passed down in his family. Later we will get to compare the genealogy of Boza and Abellana. Based on Boza's article as illustrated in the genealogy above, there was never any mention of the parents or any other ancestors of Rajah or Hari' Humabon of Sugbu. In fact, the scant resources available only mention Humabon and his two brothers Bendara and Cadayaw (Ka Dayaw). Pigafetta's writings tell us further that Tupas had married Humabon and Juana's daughter, Katherine (her native name was legendarily known as Humamai) as it appears that in Sugbu, succession to Humabon's office should have been by primogeniture to his eldest son; but he had only daughters. The solution was to make a lasting union between Humabon's brother's son and Humabon's daughter. By the time Legazpi came to Cebu to conquer the islands for his king the power had already transferred to Tupas. Writings from those times tell us that Hari' Tupas and Hara' Humamai were baptized Felipe and Katherine. They had 6 children, four girls (who were never named) and 2 sons, one of which was baptized as Carlos. We also find out that the Isabel described in history books who married one of Legazpi's men, a Greek by the name of Andrea, was actually a niece of Hari' Tupas. Isabel and Andrea go down in Philippine history as not just the first Catholic marriage in the colony but also the first indio and Europeo marriage. Other records mention rulers from other islands like those in Bohol or Butuan and though there are enough indications that they may have been relatives of Humabon not enough records are available to connect them to one another. Looking at the family tree that we get to build through archival documents it is clear that we have a very scant data for a complete family tree. That is why if we compare this tree to the one given to us by Jovito S. Abellana we see the great discrepancy in what is available in historical records and what the Abellana family claims to have been passed down in their family. The book Aginid recounts the beginning of Cebu as having been founded by Bataugong and Balintawak, supposedly Humabon's great-grandparents. The book further narrates how the descendants of this couple founded their own chiefdoms and the narrative shows that the rulers of Butuan, for instance, were relatives of Humabon. Rajah Kolambo, ruler of Limasawa in Southern Leyte where the first mass in the Philippines was held, was a first cousin of Humabon; Bankaw, the ruler of Limasawa who led a religious revolt against the Spaniards in 1621 to 22, was a third cousin of Don Carlos, son of Kari' Tupas; in the same year as Bankaw's revolt his 4th cousin, Tamblot, a babaylan in Bohol, led an uprising. The book itself is fascinating, not just in terms of the wealth of genealogical data it contains. It gives another persepective of the history of Cebu. However, in terms of genealogy I do have my reservations in believing it at face value. For one thing the family tree constructed by Abellana has clear Spanish influences in terms of naming pattern. The children of Bataugong and Balintawak, for instance, were called Lumay Bataugong, Midai Bataugong, Tawakal Bataugong, Barat Bataugong, Anduki Bataugong, and Pamampawahi Bataugong. Or Humabon was named Humabon Bantug because his father was named Bantug Lumay. From these we see that the children were given their father's name as their second name, which functioned as a patronymic. Unfortunately, there is no evidence that the early Filipinos praticed patronyms so I am quite wary as to the truth of these records. Still, this is another source that adds to the richness of the beautiful culture of the Cebuanos. And on this special day of the beloved festival of the Cebuanos, a festival that celebrates not just Cebuano spiritualism but our connection to our beautiful past, anything could be possible. In the end, Abellana's book could very well be the one to complete what we lack in terms of archival documentation. Happy Sinulog everyone! Pit Senyor! For a complete genealogy of Cebuano's early rulers, click here. 1. Astrid Sala-Boza. The Genealogy of Hari Tupas: An Ethnohistory of Chiefly Power and Hierarchy in Sugbu as a Prostate, Philippine Quarterly of Culture and Society Vol. 34, No. 3. Cebu City: San Carlos Publications, September 2006. 2. Jovito S. Abellana. Aginid: Bayok sa Atong Tawarik, Cebu City: Cebu Normal University Publications, 1998.